Things have been a little…er…busy the last few weeks. We’ve moved homes to a house in town with a great location and tried to keep up with a farm during its busiest plant start season while building 3 high tunnels and taking on international high school students. Today we hosted the rotating farm-friends ‘dig and dine’ and managed to plant some 800 tomatoes plus cover new high tunnel #2 in a bit of an untimely wind. Heartfelt thanks go to Lara, Eva, Cora, Molly, Zack, Colin, Sofya, Duncan, Emma, John, Dani and Youha. You got us back on track! With a little help from my Fitzroy Farm friends Dan, Michael, Raven, Rick and Vincent, we pulled 150lbs of polyethylene film over the tunnel a couple of days ago. We made hay while the sun was shining, so to speak, because as soon as it was covered and tacked into place, the winds picked up and it started raining. Then we had showers, followed by periods of rain, then showers, then rain. The payoff was quick, in other words. 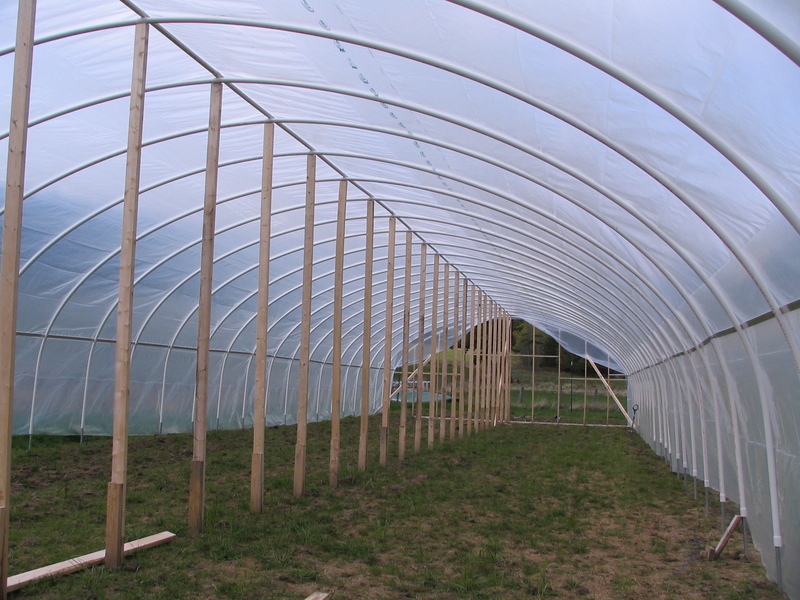 Yesterday, during the various precipative events, I was able to construct a trellis, rototill and install one of the side roll-ups, while staying dry. 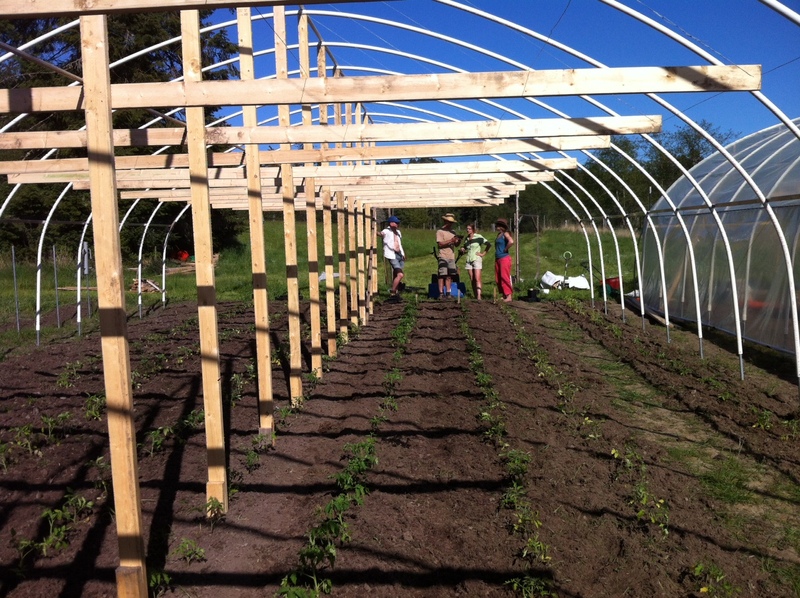 On May 13, we have a scheduled farm-friends work party in which we hope to plant about 500 tomatoes (and another 350 in our Rainbow tunnel). What IS a nightshade, anyway?